This Cut to Length Line is suitable for decoiling, leveling & cutting steel coils into required length. 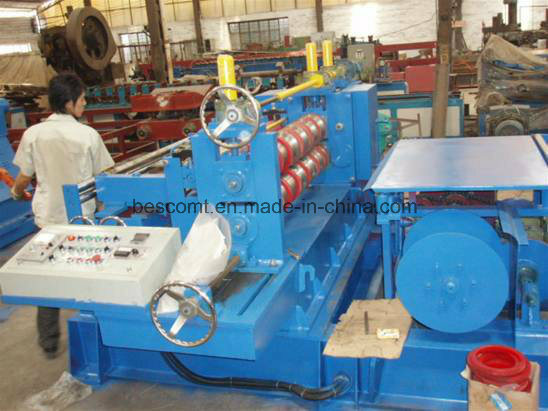 The production line has the feature of high precision, topping stabilization, and excellent performance. Using PLC system to control the whole line's work, the operation is convenient and easy. 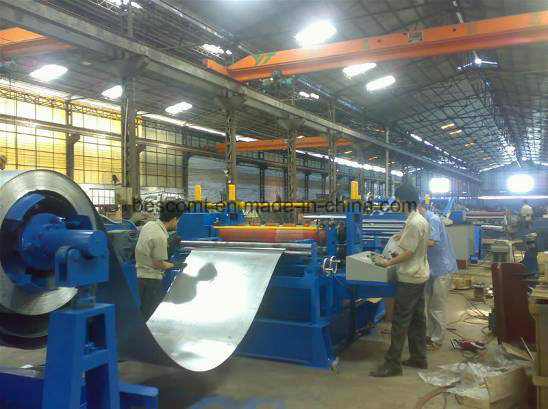 The sheet coil is loaded & elevated to appropriate position of the mandrel, and pushed into the decoiler by movement of feeding trolley automatically. 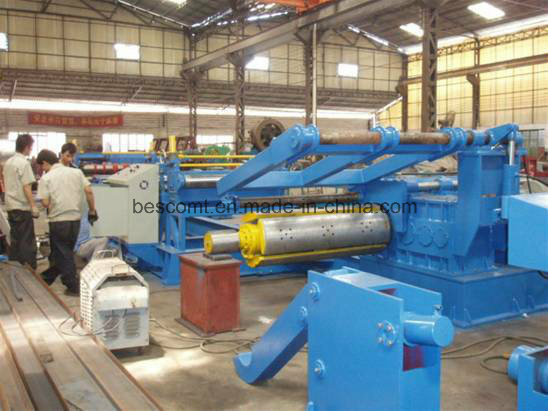 The steel sheet is fed into leveler through guiding device, like traction head, peeler. Then the sheet is advance leveled by pinch roll+5roll leveler, later down to the buffer pit. By adjusting the correct device to centring of the sheet, it goes through into precision 15 roll leveler for leveling & length measuring, and then the cutting machine to cut the sheet into required lenth. The sheet is cut into required length controlled by PLC. The finished sheets are transported to stacker, and placed orderly.